The role of the intestinal microbiota and microbial metabolites in the maintenance of host health and development of metabolic disease has gained significant attention over the past decade. Mechanistic insight revealing causality, however, is scarce. Work by Ussar and co-workers demonstrates that a complex interaction between microbiota, host genetics and environmental factors is involved in metabolic disease development in mice. In addition, Perry and co-workers show that the microbial metabolite acetate augments insulin resistance in rats. These studies underscore an important role of the microbiota in the development of obesity and symptoms of type 2 diabetes in rodents. If causality can be demonstrated in humans, development of novel diagnostic and therapeutic tools that target the gut microbiota will have high potential. The symbiotic relationship with our intestinal microbiota is exemplified by a broad range of beneficial effects for the host metabolism, including digestion of complex carbohydrates and maturation of the immune response. In addition, the intestinal microbiota serves an endocrine role by producing a vast amount of metabolites with the potential to modulate host metabolism . The intestinal microbiota has, as such, also been implicated in the development of obesity and type 2 diabetes in human and rodent models . This adds another layer of complexity to studying the origin of these multifactorial metabolic pathologies that arise from a complicated interplay between genetic risk factors and external factors, including dietary intake and physical activity. This commentary discusses two recent rodent studies on the potential importance of the intestinal microbiota in metabolic disease. Ussar and co-workers  studied the complex interaction between environmental and genetic factors in microbiota-related metabolic disease development in mice, while Perry and co-workers  investigated a potential mechanism underlying microbiota-driven disease development using a rat model. Colonisation of the gastrointestinal tract starts as early as in utero , and a core microbiome composed mainly of Bacteroidetes, Firmicutes, Actinobacteria, Proteobacteria and Verrucomicrobia is established around the third year of life. Extrinsic factors, including host genetic makeup , cohousing/family members , oral antibiotic use early in life  and diet  are dominating factors in shaping the intestinal microbiota. Whether these early life events are determinants of microbiota-related disease in later life remains to be established. Prospective large cohort studies addressing these factors in relation to microbiota composition will provide important insight into the role of the intestinal microbiota in the (patho)physiology of disease [10, 11]. A reduced number of bacterial genes (bacterial richness) in the intestine with a concomitant increase in inflammatory profile [12, 13] and increased circulating levels of bacterial 16s rDNA  have been suggested to have predictive value for the development of obesity-associated insulin resistance. Nevertheless, causality cannot be proven in observational studies and, unfortunately, experimental human data are extremely limited. Interventions with significant impact on intestinal microbiota composition such as faecal microbiota transfer (FMT) and antibiotic treatment have thus far shown mild  or no clinically relevant effect , respectively, on host metabolic health. Data implicating a causal role for the intestinal microbiota and/or their metabolites in the development of metabolic disease mainly originate from studies in rodent models. Colonisation of germ-free mice, which lack intestinal microbiota, with microbiota from obese murine or human donors, causes them to gain more weight compared with counterparts who receive a lean transplant [17, 18]. Other interventions that significantly affect murine intestinal microbiota composition with causal consequence for the development of obesity and related phenotypes include cohousing [19, 20], gastric bypass  and antibiotic treatment . The complexity and importance of factors that interact to determine intestinal microbiota composition and metabolic disease development was particularly illustrated in work from Ussar and co-workers . The researchers assessed the long-term effects of environmental changes on the interaction between host genetics, microbiota composition and metabolic phenotype in three commonly used mouse models with differing susceptibility to high-fat diet (HFD)-induced obesity and diabetes. 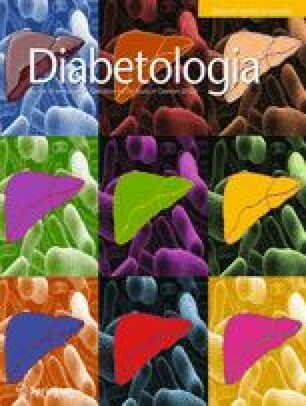 Analysis of the faecal microbiota of the obesity/diabetes-prone C57Bl/6J (B6J) and obesity/diabetes-resistant 129S1/SvImJ (129J) mouse from The Jackson Laboratory and the obesity-prone but diabetes-resistant 129S6/SvEvTac (129T) mouse from Taconic showed that diet, strain and birthplace were the strongest determinants of microbiota composition in all groups. These mouse models were subsequently maintained in the same facility for three to six generations. Interestingly, the phenotypes of the genetically-related 129T and 129J mice, which differ in terms of obesity development when obtained from separate facilities, resembled each other when maintained in the same facility for several generations. The changes in the metabolic phenotype could be associated with changes in specific bacterial taxa. Although facility-specific bacterial abundance increased in all models over time, the phenotype of the B6J strain remained fairly unaffected . When germ-free mice received FMT from vendor-born B6J, 129J and 129T mice maintained on an HFD, mice that received a B6J or 129T transplant exhibited reduced glucose homeostasis. Mice receiving a 129J transplant had an ameliorated response to diet-related glucose-derangements. Although there were no differences in weight gain between any of the recipient groups, these data indicate that vendor-based intestinal microbiota can transfer part of the glucose metabolic phenotype. Additionally, observations that genetically identical mice (the 129 models) have different responses to HFD feeding when raised in different facilities negatively impacts controllability and reproducibility of metabolic studies in rodents . Although data from the studies performed by Ussar and co-workers clearly suggest that crosstalk between microbiota, host genetic background and dietary challenge plays a significant role in development of metabolic disease, mechanisms underlying these observations still need to be determined. Mechanistic insight into aspects of microbiota-mediated regulation of the host metabolism is crucial for development of strategies to treat obesity and related disease at the intestinal level. The vast number of yet-to-be-explored bacterial metabolites are likely to have a significant impact on human physiology and disease development. Their mechanism of action is probably not restricted to the (local) intestinal environment but extents to peripheral tissues . The use of multi-omics approaches will reveal crucial insight into systemic effects of the intestinal microbiota on host metabolism, although the interpretation of causality/relevance will be highly challenging. The use of dedicated animal models  can, however, shed light on the effect of bacterial metabolites on host metabolic control. Short-chain fatty acids (SCFAs), products of fermentation of non-digestible fibres by colonic microbes, are currently the most studied bacterial products because of their suggested beneficial health effects. A diet rich in non-digestible fibres has been associated with reduced risk of obesity , whereas the intestinal microbiota of diabetic individuals is relatively depleted in SCFA-producing bacterial species [26, 27]. In mice, dietary supplementation of the SCFA butyrate has been shown to prevent weight gain and improve insulin sensitivity by increasing energy expenditure . In line with this, acetate, propionate and butyrate could prevent HFD-induced obesity and insulin resistance by causing a shift from lipogenesis to fatty acid oxidation in liver and adipose tissue . Butyrate and propionate have been shown to induce intestinal gluconeogenesis, which, through an intestine–brain neural circuit, improves peripheral glucose production and insulin sensitivity . Perry and co-workers recently showed that the SCFA acetate acts on parasympathetic activity to increase food intake and promote glucose-stimulated insulin secretion (GSIS) in a rat model . Interestingly, acetate turnover, but not that of butyrate or propionate, was found to be increased in the colon, caecum and brain of rats fed an HFD compared with chow-fed rats. Since most rodent laboratory HFDs are basically devoid of dietary fibre, the source of microbiota-derived acetate remains somewhat illusive. Infusion of acetate, but not butyrate or propionate, in chow-fed rats mimicked increased GSIS as observed in HFD-fed rats suggesting that circulating acetate levels drive increased GSIS . In line with this, FMT from HFD-fed rats to chow-fed controls increased acetate turnover and GSIS in the recipient rat. Moreover, germ-free mice that received a transplant from HFD-fed donors had a twofold increase in acetate production compared with recipients of a transplant from a chow-fed donor. Interestingly, intracerebroventricular (ICV) and nucleus tractus solitarius injection of acetate increased GSIS without increasing circulating acetate levels. The ICV effect on GSIS could be blocked by methylatropine, a parasympathetic blocker that does not pass the blood–brain barrier (BBB). Finally, chronic intragastric administration of acetate in chow-fed rats replicated HFD-induced metabolic derangements, including increased food intake and GSIS, which could be prevented by vagotomy. Nevertheless, acetate-infused rats had significant weight gain, which could be an important confounding factor for metabolic derangements . This study indicates that acetate acts centrally, specifically in the parasympathetic nervous system, to increase food intake, GSIS and fat deposition. Although a causal role for a microbiota-derived metabolite in the development of insulin resistance is shown, data are in sharp contrast with studies performed in HFD-fed mice. In the latter model, intravenous and colonic administration of acetate reduced food intake and weight gain by activating anorectic signalling pathways in the hypothalamic region of the brain . It remains to be determined whether the contradictory effects of acetate administration in rats and mice is due to a species-specific response to acetate. In addition, it would be interesting to supplement the diets of rats with SCFAs to assess how the effect relates to effects observed in mice [28, 29]. In humans, acetate has also been shown to cross the BBB , and has been associated with increased short-term subjective satiety ratings  and reduction in body weight . Direct (and indirect) roles of SCFAs in metabolic health in humans are therefore largely unknown. Ongoing studies with both oral and rectal supplementation of SCFAs in humans might soon provide more insight. The studies performed by Ussar and Perry and their colleagues suggest that the intestinal microbiota is an important participant in rodent metabolism (Fig. 1). Although these studies underscore a role for the microbiota in the development of obesity and type 2 diabetes, studies showing causal effects in rodents should be confirmed in humans. If results on causality can be confirmed in humans, further research on human intestinal microbiota may lead to the development of novel diagnostic and therapeutic tools. Challenges in attempting to determine causality in humans include biases in associations between altered microbiota composition and development of human disease. Such associations are generally based on the accessible microbial pool in the faecal compartment. The composition and potential role of the microbiota community in other parts of the gastrointestinal tract is unexplored, as are implications thereof for host metabolic health (e.g. differential metabolic effects of microbial-produced SCFA in either the proximal or distal intestine) . Furthermore, in many studies information on important drivers of microbiota composition, such as dietary habits and (history of) medication (such as antibiotics) is lacking. Despite these challenges, identification of specific strains or ‘tailor-made’ bacterial mixtures while improving engraftment  might provide interesting opportunities for the study and treatment of human metabolic disease. HH is supported by CVON 2012 grant (IN-CONTROL) (2012-03) to MN. MN is supported by a ZONMW-VIDI grant 2013 (016.146.327). MN is on the advisory board of Caelus Health and Seres Therapeuticals and has received lecture fees from AstraZeneca, Eli-Lilly and MSD. HH, RGIJ and MN were responsible for drafting the commentary and for critically revising it. All authors have approved the published version.